Looking for T-shirts, badges or other U.N.C.L.E. paraphernalia? Take a look here and see who has what available! [The information is provided here solely for the convenience of visitors to the website. We are not affiliated with any of the vendors. So before placing an order, please do your independent investigation as any educated consumer would]. They are not replicas of the ones worn by Solo and Kuryarkin but will nonetheless generate many conversation topics if you run into a fan while wearing them! Please direct all inquiries to Paula Smith. She also has fanzines available. Go to Paula's fanzine publisher page for more information. 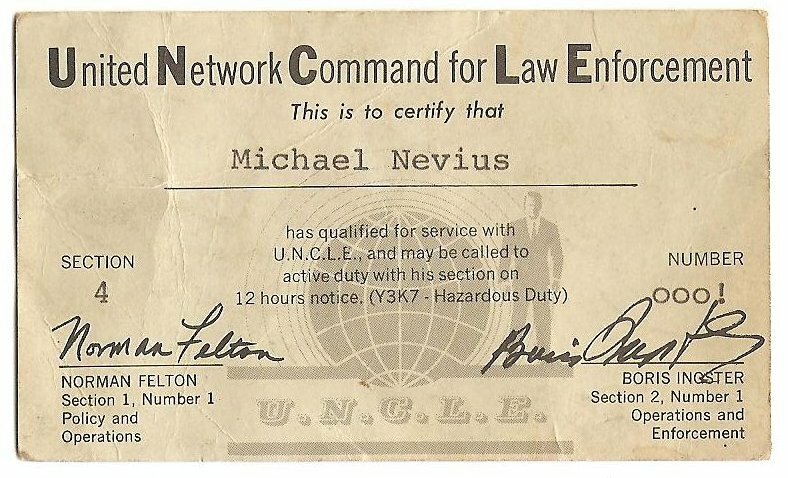 Go to Steve's website to purchase a replica of the U.N.C.L.E. gun. 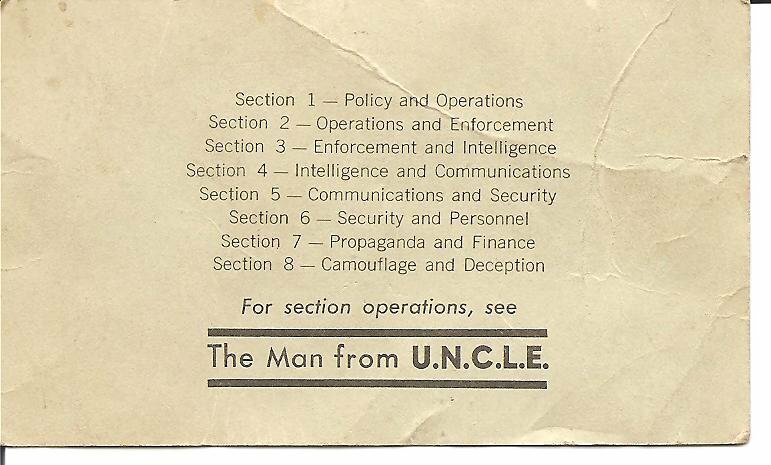 Scripts for the U.N.C.L.E. episodes are not that difficult to come by. Script City is one source. Find them on the web at www.scriptcity.com. or call its toll-free number 1-800-676-2522 for more information. The scripts are generally about U.S. $15 each plus shipping.